A grand jury in Seattle returned an indictment alledging 10 federal crimes by two affiliates of Huawei Technologies. The indictment alleges that in 2012 Huawei began a concerted effort to steal information about a robot that T-Mobile used to test mobile phones. Huawei engineers are alleged to have violated confidentiality and non-disclosure agreements with T-Mobile by secretly taking photos of the robot, measuring it, and stealing a piece of it. A grand jury in New York returned an indictment alleging 13 additional crimes committed by Huawei, its CFO, its affiliate in Iran, and one of its subsidiaries in the United States. This criminal activity is said to go back ten years and to involve top officials of the company. The indictment alleges that beginning in 2007, Huawei began to misrepresent its relationship with its Skycom affiliate. By claiming Skycom was a separate company, Huawei represented that it was in compliance with U.S. sanctions against Iran. Furthermore, Huawei is alleged to have misrepresented financial transactions with multiple banks. Defendants from both cases are variously charged with conspiracy, bank fraud, wire fraud, violations of the Emergency Economic Powers Act, money laundering, and obstruction of justice. The DoJ is seeking the extradition of Huawei CFO, Meng Wanzhou, from Vancouver, Canada, where she was arrested in December. The DoJ further alleges that Huawei lied to the U.S. government and attempted to obstruct justice by concealing and destroying evidence, as well as moving executives back to China. The INDIGO subsea cable system, which will connect Australia and the dynamic economies of Southeast Asia, reached a significant milestone with the installations of the INDIGO West and INDIGO Central cables. INDIGO is backed by AARNet, Google, Indosat Ooredoo, Singtel, SubPartners and Telstra. 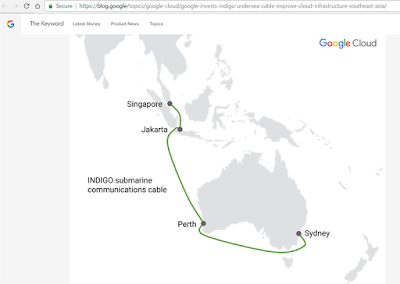 Commissioning of the submarine cable system has now begun, with the INDIGO cable system on-schedule and on-track to be ready for service before mid-2019. INDIGO features two-fibre pairs with a design capacity for up to 36 terabits per second. The cable system will utilise new spectrum sharing technology so each consortium member will have the ability to independently take advantage of technology advancements for future upgrades and capacity increases on demand. Gartner is predicting that worldwide IT spending will rise to $3.76 trillion in 2019, an increase of 3.2 percent from 2018. 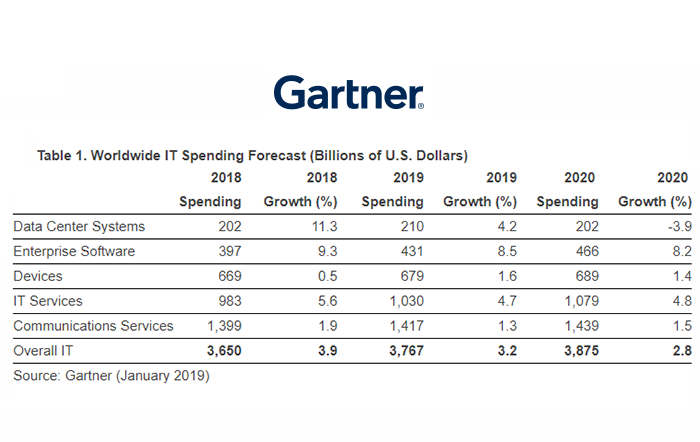 Enterprise software, driven by a shift to the cloud, will continue to exhibit strong growth, with worldwide software spending projected to grow 8.5 percent in 2019. It will grow another 8.2 percent in 2020 to total $466 billion. The mobile devices segment is expected to grow 1.6 percent in 2019. The largest and most highly saturated smartphone markets, such as China, Unites States and Western Europe, are driven by replacement cycles. Bidding has concluded in FCC Auction 101, which will provide spectrum in the 28 GHz band for 5G wireless service. Full results are expected to post shortly. At this week's DesignCon 2019 in Santa Clara, Spectra7 Microsystems and Luxshare-ICT are demonstrating OSFP format Active Copper Cables (ACCs) using Spectra7 technology in a live demo passing 400Gbps Ethernet traffic generated by a 12.6 Tbps switch. Luxshare is using Spectra7’s GaugeChanger technology in its new line of OSFP Active Copper Cables. The embedded Spectra7 GC2502 Linear EQ Chips increase the length of standard copper cables by almost 3 times. 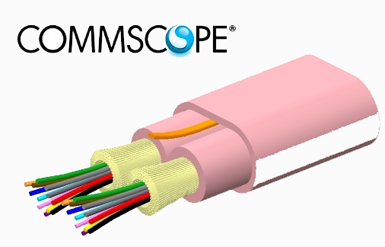 This enables a significant number of cables in the 3 to 7m range to remain copper-based instead of having to switch to optical solutions which are dramatically higher in power and cost. 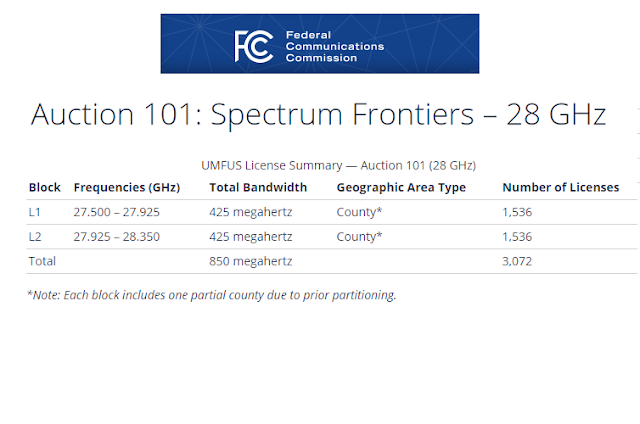 Spectra7 said its GaugeChanger technology works equally well at 25 Gbps NRZ and 50 Gbps PAM-4 enabling new connector standards of 100, 200 and 400 Gbps. II‐VI introduced its 976 nm pump laser modules with up to 80 watts of wavelength-stabilized output power. II-VI said its design within the module minimizes warm-up time, and operates over a wide temperature range, improving laser system productivity and reducing maintenance. The high output power of the new pump laser is achieved by combining multiple pump laser diodes into one module. The combined output power is coupled to an industry standard 106.5 µm core fiber. The operating wavelength can be adjusted to meet specific customer applications. BridgeWave Navigator microwave system (6GHz – 42GHz) and the Flex4G-10000 true fiber capacity millimeter wave system (80GHz) optimize backhaul networks for the highest capacity and range, while minimizing capital investments and reducing operational costs. Fujitsu now includes BridgeWave wireless backhaul systems as part of its multivendor turnkey solutions offered to service providers and large enterprise customers for building and transforming their networks. The Fujitsu transport solutions portfolio consists of hardware and software as well as a full suite of network services, including design, build, systems integration, operations and maintenance. 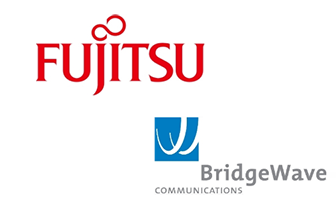 The BridgeWave Navigator microwave system and the Flex4G-10000 true fiber are also being offered through the Fujitsu Network Modernization (NetMod) program to replace legacy equipment with new technology. NVIDIA now estimates its Q4 revenue to be $2.20 billion compared to previous guidance of $2.70 billion. The company cited weakness in gaming and data center segments, as well as "deteriorating macroeconomic conditions, particularly in China." In gaming, NVIDIA said there was a sequential decline due to excess mid-range channel inventory following the crypto-currency boom that proceeded as expected. However, consumer demand for NVIDIA gaming GPUs weakened faster than expected and sales of certain high-end GPUs using NVIDIA’s new Turing architecture were lower than expected. In the data center segment, revenue also came in short of expectations. A number of deals in the company’s forecast did not close in the last month of the quarter as customers shifted to a more cautious approach. CommScope also said the positive results should support its financing efforts related to its acquisition of ARRIS International plc. Digicel appointed Jean-Yves Charlier as its new Group Chief Executive Officer, effective immediately. Charlier previously served as Chief Executive Officer of VEON (formerly Vimpelcom), Chairman and Chief Executive of SFR, France and was also Chief Executive at COLT Telecom. Charlier’s appointment comes one month after the untimely passing of Digicel Group Chief Executive Officer, Alexander Matuschka von Greiffenclau, 47, who died while on holiday with his family in his native Germany.